I was going to write a quick post about fixing broken things (because "people who buy things are suckers" - Ron Swanson), with a deceptive publishing date and time of September 15th, at 11:11 PM. Of course, I am writing this blog post several hours after 11:11 PM, and it is currently the 16th. I decided to keep the publishing date and time of this blog as accurately as possible because I am going to comment a little bit about the news today. Apparently, and you can Google this, a Texas teenager named Ahmed Mohamed built a D.I.Y. LED clock. Ahmed showed it off to his high school science teacher, who allegedly advised Ahmed to not show it off to the other teachers. The LED clock made a noise during Ahmed's English class. The English teacher asked the kid where the sound came from, so he was obligated to show off the clock. The English teacher allegedly and ignorantly overreacted, sending Ahmed to the principal's office, who also allegedly overreacted, calling the police. In turn, the police officers arrested the 14 or 15 year old boy, under the charge of making a bomb threat hoax. Ahmed maintained it was a clock the whole time. I've seen a photo of the clock on a Texas newspaper's website. The insides of the clock consisted of a circuit board with capacitors and whatnot, an LED screen for the clock's display, a 9-volt connector for battery power, a power cord for wall power, and wires to make the entire contraption work. None of the components resembled any sort of explosive -- C4 or TNT or a flaming bag of poo -- real or fake. After the incident became a public-knowledge news story, all charges against Ahmed were apparently swept away, with no one apologizing (yet) to the boy. By and large, people on the Internet have been supportive of Ahmed's tinkering interests and potential for technological greatness, condemning the actions of the English teacher, the principal, and the police officers involved. I could make this blog entry about the possible prejudices and biases of the English teacher for assuming Ahmed's clock was a bomb, the principal for assuming the clock was a fake bomb, or the police officers for arresting Ahmed. I could hypothesize that Ahmed's Sudanese heritage or his family's Islamic religion may have played a factor in this whole big "misunderstanding." A lot of articles and comments have already articulated that possible angle to the story. No, this blog article is about you and me, learning new things, in the hope that neither of us will be total dumbasses like Ahmed's English teacher, principal, and arresting officers. If you haven't already, pick up a soldering iron, some solder, and wire something. Upgrade something. Fix something. Make something. Learn something! 1. Wear safety goggles, and try not to get burned or electrocuted. Obviously unplug the electrical devices that you are modifying. Solder might have lead in it, so it's best to work in a nicely-ventilated area. 2. Make sure your soldering iron is hot hot hot before soldering components together. In other words, plug it in to turn it on, then wait. Wait some more. Then it's good to go. 3. 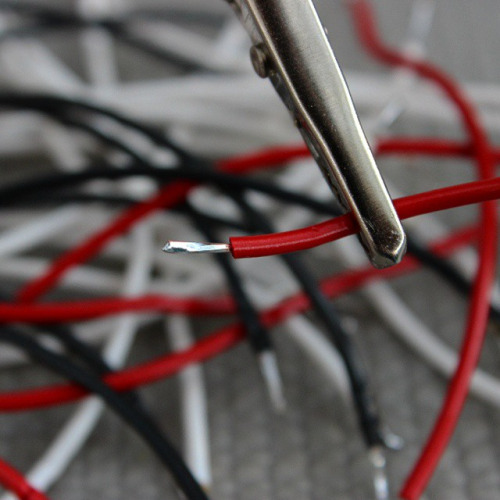 Use the soldering iron on the component relevant connector, heating the part, which melts the solder, with flows -- creating the joint. 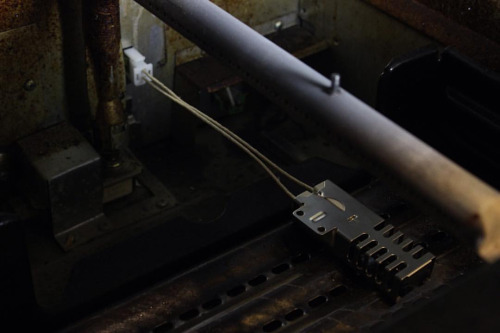 Do not melt the solder directly, which will almost always create an unreliable cold solder joint. 4. 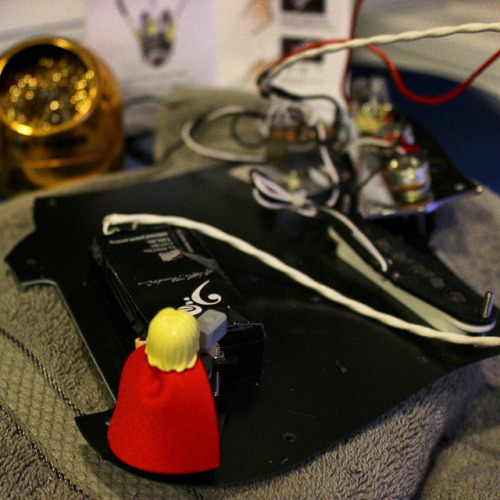 Do not let the soldering iron linger on a component, which might damage the component. 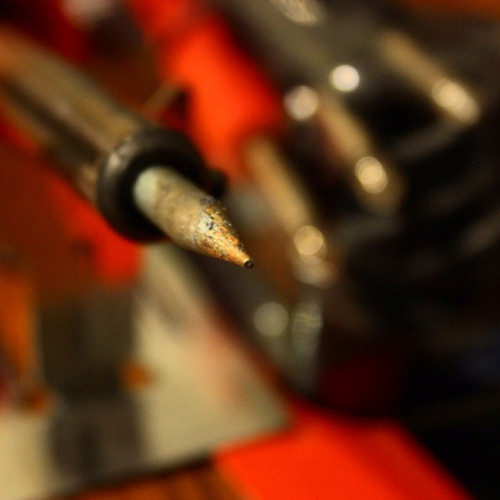 That's why your soldering iron should be hot hot hot -- it will heat a component to melt solder in mere moments and not several seconds to possibly damage the component. There. I'm guessing that's enough information to replace a light switch. If you do enough simple house-fixing electrical work, you probably won't mistake a homemade digital clock for a prop bomb or a real bomb. What else can you do with this basic knowledge of electrical/electronics? Yes, this is a repeat of a previous blog entry. If you play the electric guitar or bass guitar, you can always swap out stock pickups for nicer-sounding ones. Along the way, you'll stumble onto concepts and techniques like tinning wire, splicing wire, using shrink tubing to protect your connections, and making sure the entire mess of wire can fit into the electronics cavity of the guitar body. 1. Diagnose the cause of the problem. 2. Fix the cause of problem. 3. Check if the problem has been solved. If not, repeat steps 1 to 3. 1. I went on Google and found forums and blogs with information from people who suffered the same exact speaker problem. I basically copied what they did. 2. 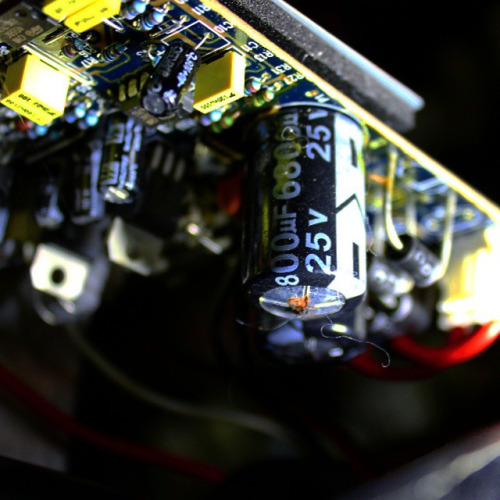 I purchased new capacitors on Amazon for cheap, unsoldered the busted capacitors, cut the glue away on the circuit board, and soldered on the new capacitors. 3. I checked that the repair was successful. 1. The oven needed a new igniter (or ignitor, however it's spelled). 2. Amazon sold a replacement igniter (or ignitor) for cheap -- cheaper than a specialty store for oven parts, way cheaper than a repairman doing the same easy task, and way way cheaper than buying a new oven. All it took were a few screws and a few clicks to disconnect the old ignitor, and to connect the new ignitor. 3. The repair was successful. Again, I blogged about this before, but LED lights are cool -- and wiring LED lights into new configurations is even cooler! 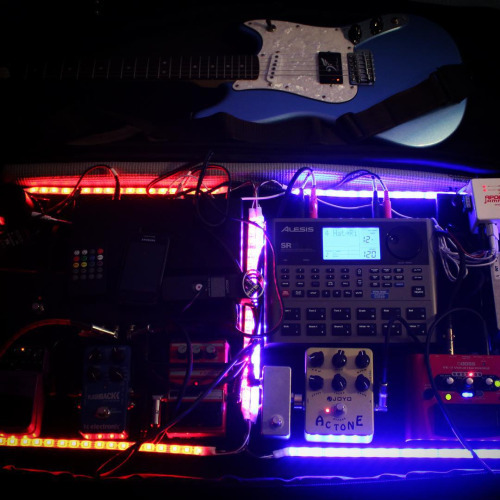 I made my pedalboard light up and follow the music. Some days I feel misanthropic, resigning myself to the conclusion that human beings will never be better, and that is why people are usually crappy to each other. On these misanthropic days, I feel that there is no point to humanity; we're just a bunch of relatively hairless, violent, evil primates. We've been that way for 10,000 years of civilization, for 200,000 years of being "sapient," and for 2,000,000 years of being "human" -- however you count the time, and however you define humanity. It's days like these that kind of give me hope. Kids like Ahmed, who tinker and wonder and explore and learn, give me hope. Older people who dare to learn new tricks and redefine themselves in new trades also give me hope that humanity can be better. On the other side of the token, we have the dumbasses who ignorantly accused Ahmed of wrongdoing, attempting to squash his potential for being a better human being. It's the dumbasses who bully the nerds, out of jealousy or giggles. It's the dumbasses who hold us back as human beings. It's the dumbasses who aren't better and will probably never be better. It's up to you and you and you to be better. It's as simple as picking up a tool you've never used before to do something useful with it. Unlike Ahmed's English teacher, and everyone who is like Ahmed's English teacher, you will be able to tell the difference between a neat D.I.Y. LED clock (good technology!) from an explosive device (evil technology!). You will be able to encourage kids like Ahmed to be better people and innovate the future, instead of destroying their potential.